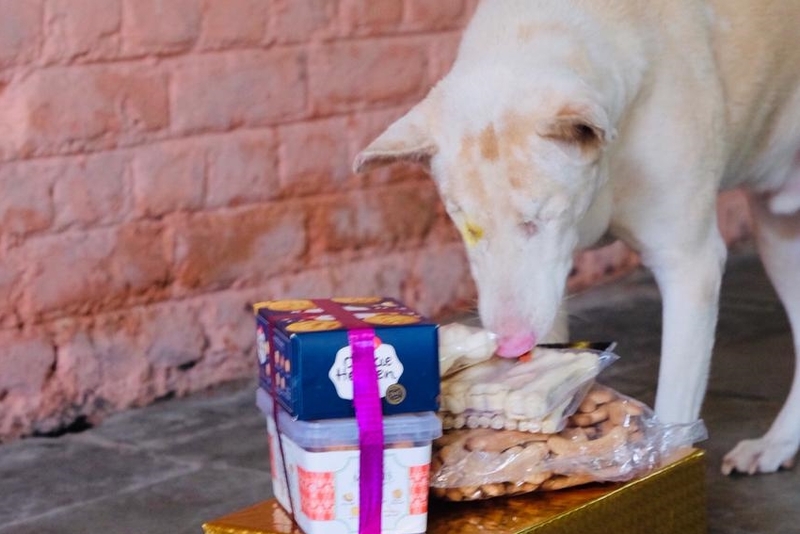 For a festival that celebrates the victory of good over evil, Diwali, unfortunately, can be a pretty stressful time for pets, and more so for the animals living on the streets. Firecrackers are the root cause of all Diwali related problems. Whether it is the noise caused by the explosion of fireworks or the injuries & burns again caused by fireworks, or the smoke that lingers for weeks afterward the after effects of Diwali is as harmful to animals as it is for humans. In addition to accidents which may be unintentional, there is also wanton cruelty perpetrated by humans against animals. So as responsible citizens and animal lovers it is your duty to ensure your children or family members are not the ones playing these dangerous games. And should you spot an animal in distress, rush them to the nearest vet immediately. Another repercussion of Diwali is lost pets. For weeks after Diwali, the city shelters and rescuers struggle with lost pets who bolt from homes on Diwali day and are unable to make their way back. Some remain lost forever while a few lucky ones are reunited with their families. Many families also bring in injured pets. Burn and scald injuries are up by 30 to 35% during Diwali season, according to our in-house veterinarian Dr. Amit Kumar. Fracture cases also go up because loud sounds trigger flight response in animals. The pet or stray get disoriented in fear and run amok often getting hit by cars or falling into pits and uncovered drains. In old or obese dogs, we see a spike in heart-related issues due to increased stress levels. Even younger pets go into stress & anxiety triggered illnesses losing appetite and often going off food for days. This beautiful blind dog lives outside our reception area. Here he inspects his Diwali presents. Abstaining from bursting firecrackers is the obvious first step. But if in spite of your best efforts to make your neighborhood cracker-free, ensure that your pet dog or cat is well protected. A vet can prescribe a tranquilizer for your pet, or you can create a calm and soothing environment within your home. Expert canine behaviorists says you can even practice ahead of Diwali day, and condition the pet to feel relaxed when he is brought to a certain room. Pick a room in the house which is the most soundproof (has maximum upholstery). Draw the curtains and dim the lights. You can play some music or turn on the TV. Sit with your pet in this room and give them a nice massage till they are completely relaxed. Repeat several times a day till Diwali. On Diwali itself, make sure the doors and windows are shut securely, and additionally, your pet is wearing an identification tag with your phone number on it. Before the crackers start, take them to the room and do all of the things mentioned above that have conditioned them to relax. Make sure you are relaxed and your body language calm (try not to be nervous and agitated as your pet picks up on your energy) while you comfort your pet. If despite this, your pet hides under a piece of furniture, do not coax them out or force them out of their comfort corners. Advanced behavior modification techniques (like desensitization to cracker sounds) should only be attempted under the guidance of an experienced behaviorist. If you want to help the animals living on the streets, keep an eye on them. Open the doors of your house to them however temporarily till the worst is over. Drive safely on the roads, and try to convince your neighbors, friends, and family to abstain from bursting crackers. The noxious fumes from the Diwali crackers not only cause health hazards for humans but also for animals. Many birds apart from succumbing to burn injuries caused by rockets also go blind because of the smoke. Dogs and cats also develop respiratory distress according to leading veterinarians of the city who says they see a remarkable rise in such cases in pets. Other than firecrackers, there are some other hazards that should be also kept in mind. Burning diyas or candles unattended on the floor, can be upturned by an animal in flight or may burn down causing accidental fires. Low hanging Diwali lights can also wreak havoc if they break or if the pet gets entangled in the wires. And last but not the least remember to go slow with your pet on all those Diwali sweets and savories. Most of them end up causing long time damage if served in excess. Wish you all a woof-woof Diwali!